The CV90 is a family of tracked combat vehicles designed and built by BAE Systems Hägglunds, with more than 4.5 million engineering hours contributing to the development and system integration of the advanced and modern IFV. 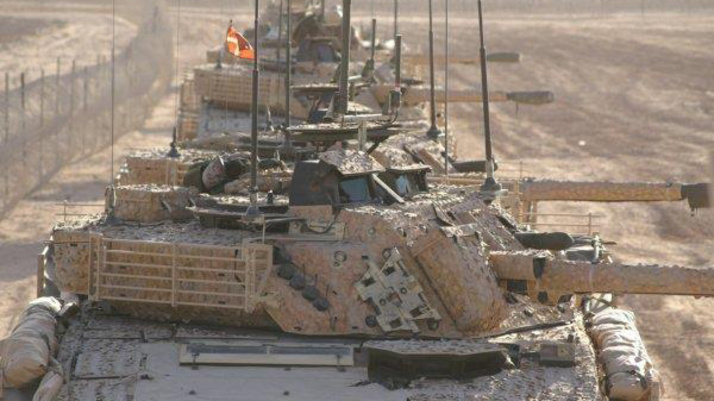 «CV90 is a well demonstrated solution, combat proven by the Danish Army in Afghanistan», said Peter Nygren, director of business development at BAE Systems Hägglunds. «As a member of NATO, Denmark needs to have the CV90s in top condition. Crew survivability and interoperability are of primary importance to all armed forces, and we are proud of the confidence the Danish government has shown in us to upgrade these vehicles». «The CV90’s open electronic architecture allows for the integration of any country’s chosen system and regular updates of all key electronic systems. BAE Systems can tailor the fit of C4ISR systems for each customer and vehicle variant», Nygren added. The contract includes comprehensive industrial cooperation between BAE Systems and industrial partners in Denmark. BAE Systems’ industrial solution provides a foundation for job creation, technology transfer, and investment, paving the way for economic development and national growth. Since 2009 our industrial activity has delivered close to €300M into the Danish economy as part of the commitment to use Danish companies to support the CV90 fleet. CV90s have successfully operated worldwide, including in United Nations and NATO missions. The vehicle provides interoperability, high tactical and strategic mobility, air defence, anti-tank capability, and high survivability and lethality in any terrain or tactical environment. There are nine CV90 variants in service, with more than 1,280 vehicles operated by seven European countries, including four NATO members. The latest variant is in production for Norway.